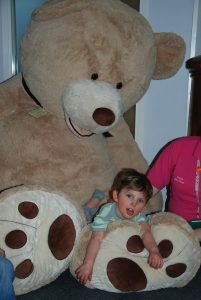 Story Massage is bringing joy to children and young adults at the end of their lives. 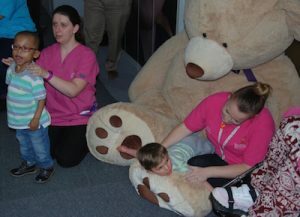 Vikki German, Play and Activities Co-ordinator at Shooting Star Chase Children’s Hospice, uses Story Massage every day as part of the activities programme. Indeed, Vikki has been chosen as a Best Practice Award Winner for her enthusiasm in sharing sensory stories in such a creative way. 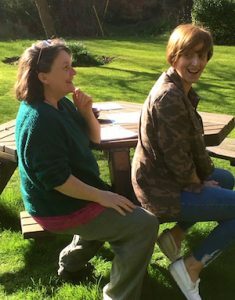 Vikki also loves to create her own stories and poems for Story Massage sessions as this adds a personal touch. 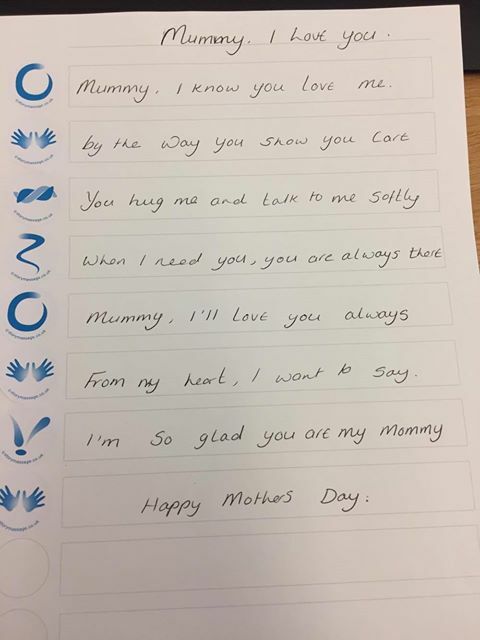 Here is one of Vikki’s massage stories written for Mothers Day. It is such a simple but poignant tribute to all mothers that Shooting Star Chase recorded it for their website. Story Massage combines the benefits of positive, respectful touch with the creativity and engagement of storytelling. Ten simple massage strokes form the basis of the Story Massage programme. These strokes have a child friendly name, such as The Circle or The Sprinkle, and an easy to recognise symbol making it accessible for all. It is a fully inclusive activity, no clothing is removed and no oil is used. Stories can be taken from our Story Massage book, adapted from favourite stories or songs. or you can even create your own stories like Mummy, I Love You. Are you inspired by the way that Vikki is using sensory stories in a children’s hospice? Would you like to train to use Story Massage in your work or home? We run a one day accredited training course around the country for individuals and groups. These days can also be organised as in-house training sessions. And we have an online training option. 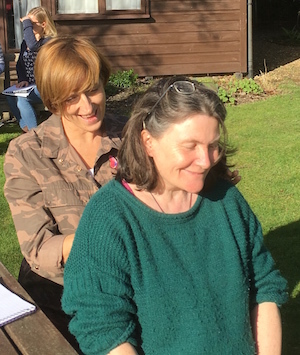 We teach you how to share the ten Story Massage strokes and work with you to adapt familiar stories and even create some sensory stories of your own. Ideal for teachers, SEN staff, support staff, therapists, Early Years practitioners, Baby Massage Instructors, Relax Kids Coaches… everyone with an interest in sharing positive touch activities with children. All the information is here: Story Massage Training.